A logo is the graphical presentation and is the trademark of a brand. It can either be a shape, colour, typeface, or even a combination of them. A logo differentiates you from other and creates association of the relevant brand essence in the mind and heart of the target audience. A good logo marks the branding objectives and commutes the meaning well and impress the viewers enough to memorize it. None of the business can become recognised, without a mesmerising, eye catching and powerful logo design. Any business, whether large or small fights an uphill battle for its recognition through branding and with a custom logo design, a company’s name resonate clearly in front of their customers. The logo development process comprises upon two basic elements. Firstly, is the text of the logo and then the look of the logo. Words don’t convey complete meaning therefore the shape; colour and other attributes play their role in communicating the comprehensive message with increasing tendency for recall. Y ou can hire our creative and innovative graphic designers! Our professional team of graphic designers can serve you in any kind of graphic designing, may it be development of logos, product package or an art work. 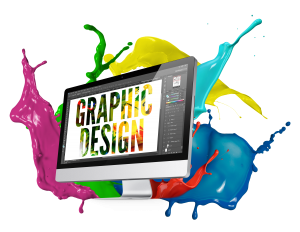 We aspire to assist you with best possible graphic designing services that can enable your business to effectively reach out to your targeted viewers. That is why we say “hire our experienced and professional graphic designers with optimum expertise to achieve your goals”. We provide services from Logo Design, Letter Head, Brochure Designing, Ccorporate Identity, Business Cards, Flyer, Newsletter, Press Ads, Magazine Ads, Hoarding, Posters and other high end graphic design services. We focus on meaningful designs that can make your brand speak out. We believe in appropriate selection of designs as it is a strong medium having ablity to convey the intended meaning. Adobe Dreamweaver, Abobe Fire Works, Corel Draw, Adobe Photoshop, Adobe Flash.